The first Mechanic’s Institute was established in Port Hope. It held 750 books and had 60 members, each of whom paid an annual membership of $4.00. Mechanic’s Institutes were educational establishments formed to provide adult education, primarily of a technical nature, to working men. The second Mechanic’s Institute was established in Port Hope on Walton Street. It had a collection of 5,000 books. The Town of Port Hope requested a grant from the Carnegie Foundation to build a public library. The 31 Queen Street site was purchased for $600. The building was completed at a cost of $25,000 and opened in October 1913. 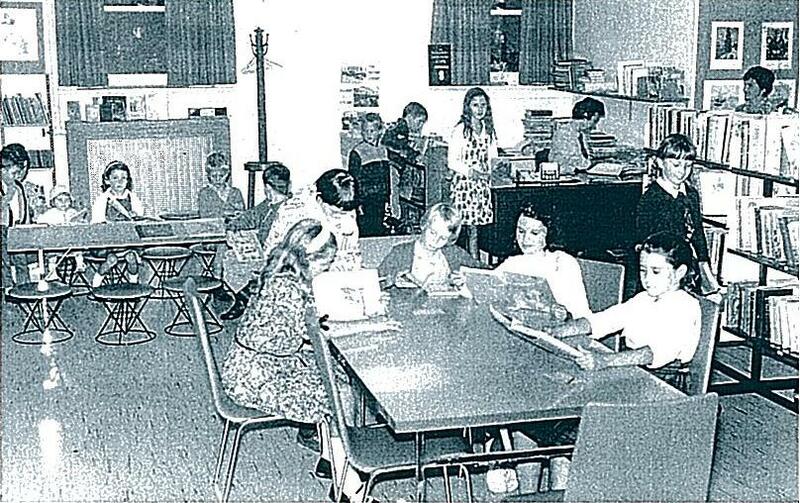 The basement lecture room was converted into the Children's Library. The Library installed a telephone. The Kinsmen Club of Port Hope donated $2,000 and all the required labour to renovate the Children’s Library. The building was expanded. The central staircase and stone columns were removed from the front façade. The expansion had a budget of $65,000. The Town of Port Hope and the Rotary Club funded a $135,000 project to install an elevator. The front door was once again relocated to accommodate the elevator. The Library catalogue and circulation functions were automated. Municipal government amalgamation of the Town of Port Hope and Hope Township occurs. Port Hope Public Library is expanded to include the Garden Hill Branch, formerly part of the Northumberland County Library System. Construction on the renovation and expansion of the Queen Street building began in January and was completed in December. The $2.2 million dollar project modernized the facility, doubled the space and restored the façade, complete with columns, to one that more resembled the original Carnegie building. Library services were relocated to a storefront in a plaza during that year. The renovated building, renamed the Mary J. Benson Branch of Port Hope Public Library, reopened in January. Port Hope Public Library is awarded the Ministry of Culture’s Angus Mowat Award for Excellence for its Library.Card.Cool initiative. Port Hope Public Library is awarded the Ministry of Culture’s Angus Mowat Award for Excellence for its Open a Book, Open a Business initiative, the only library to have done so two years in a row. 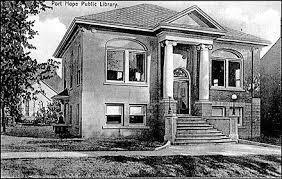 Port Hope Public Library celebrates the 100th anniversary of the Carnegie Free Library 1912-2012. Rural library service was relocated from the Garden Hill Branch to the Port Hope Community Hub located in Canton. The new branch, known as The Hub, opened in October. 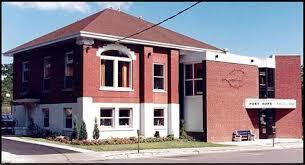 The Port Hope Public Library is honoured to have won the Ministry of Culture's Angus Mowat Award of Excellence in Public Library Service in 2006 and again in 2007. The Library won the 2006 Angus Mowat Award for its Library.Card.Cool campaign. Angus Mowat started his long library career in Trenton, Ontario, and then moved to Belleville, Windsor, and Saskatoon. He became Inspector of Public Libraries for the Province of Ontario in 1937, and after a very industrious career retired in 1960. He then moved to 18 King Street in Port Hope and served for several years on the Port Hope Library Board. In 1985, his former colleagues in the field of libraries honoured his memory by naming the Ontario Library Award of Excellence after him. Angus Mowat's family still resides in the area. Angus's daughter-in-law, noted author Claire Mowat, still lives in the house on King Street. His younger son John and three of his grandsons also live in the area.